Treescapes Scotland provide a reliable quality tree services to commercial & domestic customers in Alloa and throughout the surrounding areas. 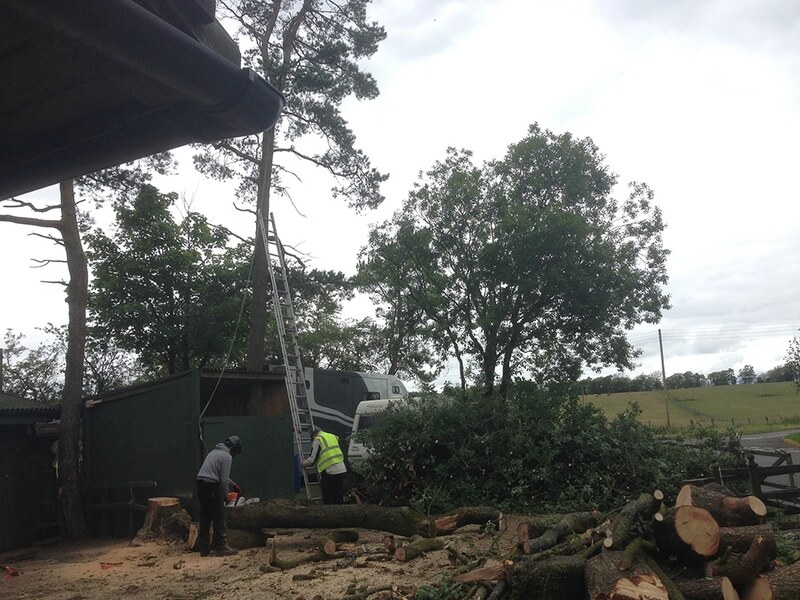 All work carried out by Treescapes Scotland is undertaken by qualified tree surgeons. Treescapes Scotland will be happy to help you with any queries that you might have. All quotes are free and without obligation. Feel free to contact us. Our tree surgeons in Alloa offer crown lifting services. The raising of a trees crown (the main area of foliage & branch mass) by removing the lower branches is applied to many different situations. But in most cases it is to create space below the tree whether it is to gain access pedestrian (2.5m) or vehicle (5.2m). Another reason would be to allow light to pass through either on to the ground of into a nearby building. A crown lift can also be used for visual reasons it might improve a view or just the way the tree looks. Crown lowering or reduction is also a service provided by our tree surgeons in Alloa. The lowering of a trees crown (the main area of foliage & branch mass) by removing the upper branches again is applied to many deferent situations e.g. to control the height of a tree where if left to its own the tree would become in contact with power lines, block sunlight from solar panels. Lowering of the crown may also be used to improve the aesthetics of a tree. Our tree surgeon in Alloa also offer a crown thinning service. This process involves the removal of living branches from within the crown were possible leaving the shape of the tree in its original shape. Pollarding is another service offered by our tree surgeon in Alloa. This method of pruning is where the branches are cut back to a selected point and on a regular basis (1 to 2 years) the regrowth is removed. This can create dense fast growing foliage. Our tree surgeons offer tree felling or removal. This process involves the total removal of the tree (excluding the stump). There various methods to achieve the removal of trees dependent on your situation Treescapes Scotland will use the best method suited to the tree in question. Following the felling of a tree the stump will be left in place. 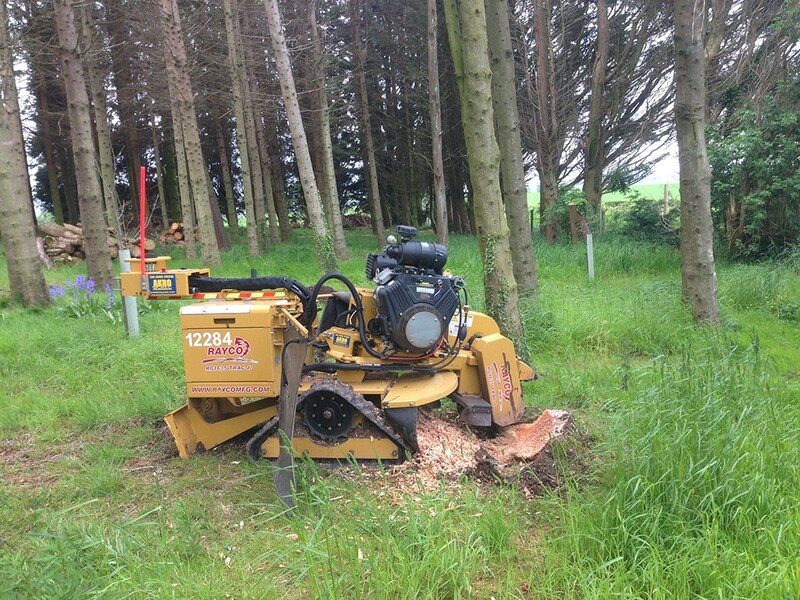 Treescapes Scotland tree surgeons in Alloa offer a stump grinding service where by the means of mechanical equipment the stump will be ground down to below ground level. Leaving no visual stump remains exposed.